Birth & up. 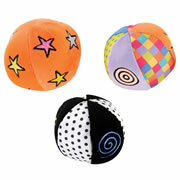 Four balls full of finger holes that are incredibly easy to catch, captivating to hold, and safe to throw. 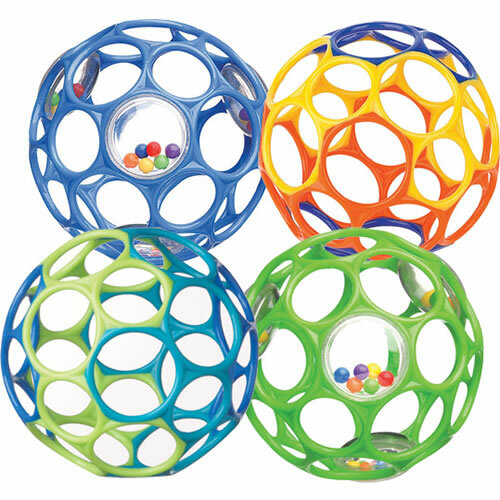 Shiny, smooth, flexible, durable and virtually indestructible. 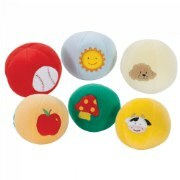 Contains two Oballs and two Oball™ rattles, or you can buy them individually. Color selection may vary.